Online Aviation Courses: What Is A Type Rating? Remember when you first learned how to drive? It took some time to go log all of the training hours, driver’s education classes, and finally earn your permit. Then, the time finally came for you to pass your driving test — and you did it! Finally, you were able to earn your driver’s license. But imagine if that license only qualified you to operate one type of car — say, a Ford Fusion (or pick the car of your choice). In a nutshell, that’s what a type rating is for aviation professionals. After they have gone through their training, graduated from fight school, and earned all of the general qualifications they need in order to become a pilot, the time comes to earn a type rating. A type rating is what qualifies pilots to operate a specific type of aircraft, and different type ratings are needed in order to fly different types of planes. For instance, if you have a Boeing 737 type rating but are looking to make the jump to AirBus, you would then need to earn a type rating for whichever AirBus aircraft you want to fly. Does that seem confusing enough? Hopefully not. At CPaT Global, we offer a wide range of distance learning online aviation courses in order to simplify the process of earning a type rating. Whether you are looking for an AirBus, Boeing, or even an ATR type rating, we have the online training courses you need in order to qualify and take flight on the career of your dreams. 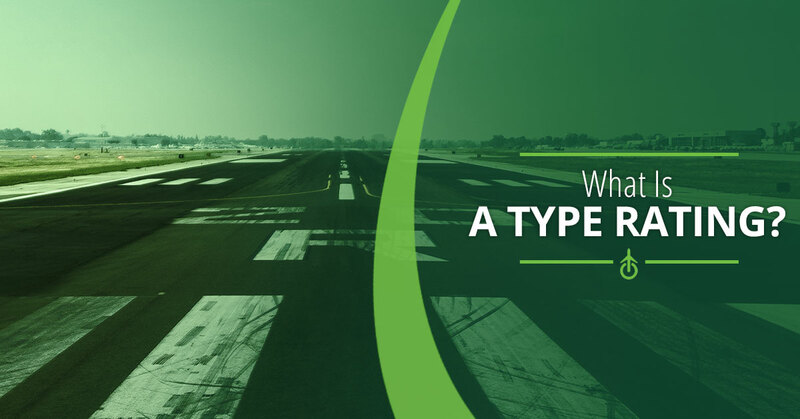 Keep reading to learn more about type ratings, and contact CPaT Global for all of your online aviation training needs. A type rating is essential for private and commercial pilots alike who are looking to operate some of the larger commercial jet planes. The reason they are necessary is because it assures airlines and other regulatory agencies that the pilot is fully qualified to operate that particular aircraft — from the navigation of systems to understanding the many protocols and procedures associated with that aircraft. In the United States, the FAA is the agency which sets the standards for type rating training, and in most cases a type rating is required in addition to a commercial pilot’s license as well as class training for that same aircraft. Earning a type rating is no easy task. It takes an abundance of dedication, hundreds (or even thousands) of dollars, and hours upon hours of flight training. In most cases, earning a type rating requires several thousand hours of flight training, both solo and in a simulator, along with written exams and rigorous testing. When all of this is said and done, and the final exams are accounted for and completed with a passing grade, then the pilot is finally, officially qualified to set out on their commercial pilot career. However, it’s not always just as simple as walking in the door to take your test. If you are seeking a type rating, you need to be fully prepared and well-aware of all the ins and outs of your preferred aircraft. That’s where CPaT Global comes in. We offer comprehensive, interactive online aviation courses which can better prepare you for your type rating training and certification testing. Our computer-based training programs are built for initial and recurrent type rating training, providing complete systems training through the use of interactive text, audio, animations, and more. With several modules and hours of study and training times, our online aviation courses can set you up for success in earning your type rating. With the help of CPaT, it’s easier than ever to find, navigate, and complete your online aviation training solutions. Our innovative system is fully customizable to meet your (and your airline’s) needs, and is functional with a multitude of platforms and operating systems. You can learn on the go, at your own time, and with 24/7 live support. Shop online aviation courses at CPaT Global today and take off on the career of your dreams.